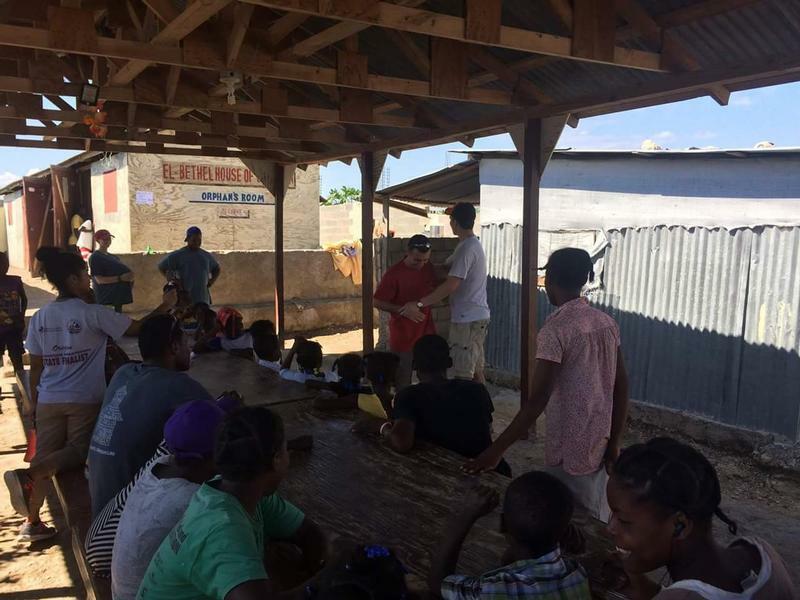 Our Haiti team is on their way back to the United States! They have worked very hard the last few days to continue building the wall and getting the electric fence up and running, which they did, praise God for that! Our technical team did an incredible job at designing the fence so the orphanage can be safer until the permanent wall can be completely finished. The last few days our team also poured love into the children, teaching them Vacation Bible Lessons, playing games with them and loving them! I’m sure they would have loved to stay longer. But, we are excited to have them back and hear stories of how God used them! Thank you for your prayers for our team, they have been much appreciated!!! From the rising to the setting of the sun, God deserves our praises! What a day our team had yesterday! They had a lot to catch up on. The team was kept busy from after breakfast until 4. 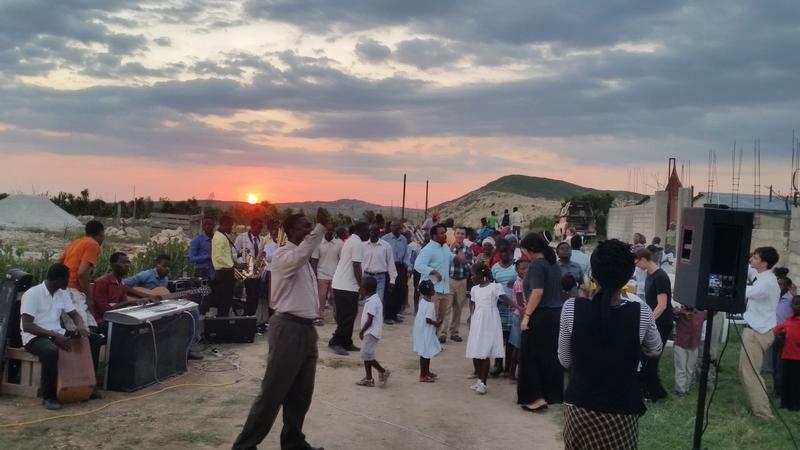 That afternoon they then went out into the community and invited people to come to a worship service that they had planned for yesterday afternoon. A lot of people showed up. They had the privilege to lay hands on many and prayed for both spiritual and physical healing for the people. The team and community had a wonderful time praising and worshiping! Thank you for your continued prayers – God certainly is doing amazing things!!! Yesterday the team had a great day! They were all up right and feeling better. God be praised for that! The day was full of activities. There were many local workers working on the foundation of a wall and some of the team was able to help with that (carrying rocks and concrete). They had a great time working with kids in the morning teaching them a lesson on hygiene through a skit, which they loved. The team was also were able to start working on the electric fence. They are enjoying every moment in the Father’s love! Today the team will be doing some evangelism and street ministry with a band. Please pray for receptive hearts and that God will provide opportunities for our team to pray with people. Update on how yesterday went, from Almando. Today was a special day. A trial by fire (Alec). My favorite thing to hear is “I am hungry and I have to pee” (Jamie). We gonna be alright (Sam). The support of the team and God will pull us through (Sara). Group hug (Jesse). Love and humility (Jade). Worship our Father with all your hearts souls and strength (David). So blessed to work with Al again. He is a perfect addition in this partnership (CJ). Worship through the thick and thin (Katie). Peace of the Lord surpasses all things (Mine). If you didn’t see the update yesterday the team members who were not feeling well got food poisoning. The team is feeling better, but a little weak, and hopefully will be starting on the wall this morning. As well as working with the kids, and teaching them great things! Thank you for your continued prayers! They are much appreciated! UPDATE: We have learned that the team members who are not feeling well have food poisoning. They will be laying low today and resting. Praying that tomorrow everyone will be feeling completely well! We heard from the team this morning! Unfortunately most of them are pretty sick right now. Please join us in prayer for complete healing and overall health. 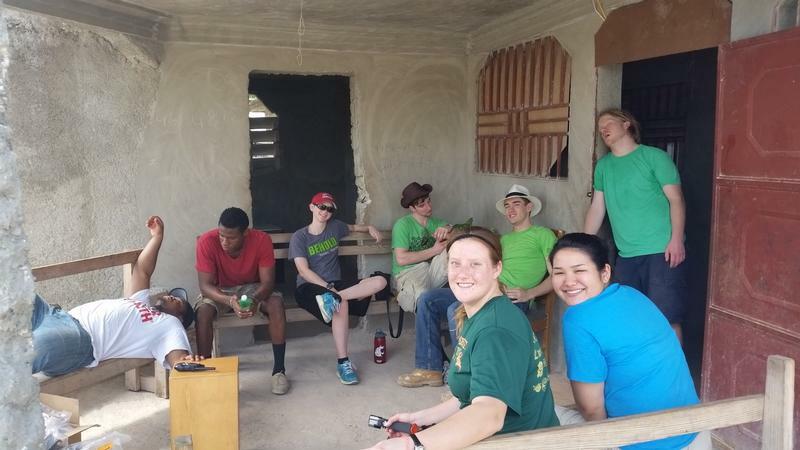 I know the team is eager to start on the wall and are also looking forward to teaching all of the children.